During two intense bursts, in late 2016 and mid 2017, I worked with the incredible Before Breakfast to produce/mix their first EP. As visceral as they are important, as beautiful as they are dark, these five tracks were recorded partly at my old project studio in Sheffield’s leafy Nether Edge, partly in 2Fly studios in one of Sheffield’s old industrial districts (engineered by the super-talented Dave Sanderson @sandersonicus), and partly at Yellow Arch (which was reclaiming disused industrial warehouse spaces before reclaiming disused industrial warehouse spaces was the done thing), and then mixed at my new studio in Brixton. When we recorded, the band were just a three-piece - Gina (main writer, lead vocal), Lucy (cello, BVs) and Debbie (piano, BVs) - but they’ve recently become a four with the addition of the multi-talented Annie Rushworth (violin, bass, BVs). Here’s a few little bits about the production process which may be of interest. 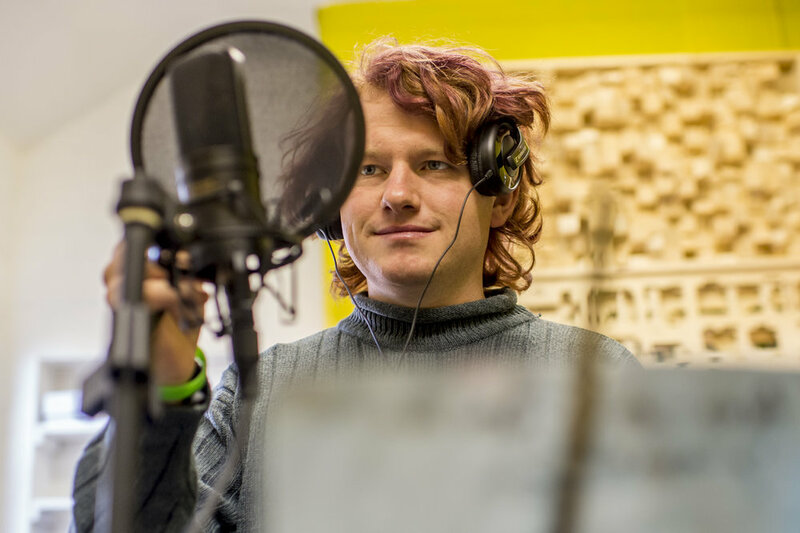 Voices: One of the most magical moments in the whole process occurred during an early vocal session at Yellow Arch. The girl’s voices blend so beautifully together, and I wanted to capture that live feel rather than layer everything. I set up three mics in a semi circle and Gina, Debbie, and Lucy sang the opening bars of Fat Child. It was pretty special. There’s a video of it somewhere. 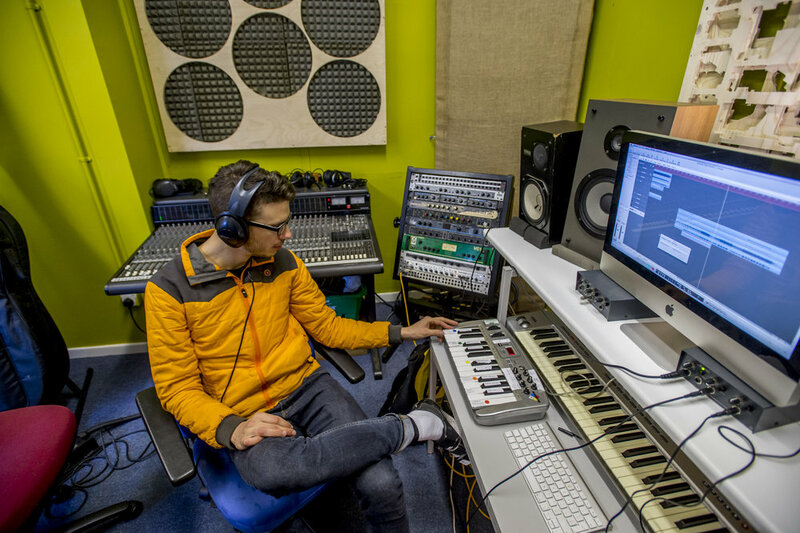 Beats: We wanted all of the percussion sounds on the record to be sampled and organic. The kicks are often a sampled thump on the back of Lucy’s Cello. There are taps on cello strings, seagull effects using harmonics, knocks on the body of my upright piano, scratched piano strings, and even a slammed piano lid. Part of the snare sound on body and Fat Child was made up of the sound of Gina, Debbie and Lucy standing round a mic and slapping their midriffs. Lyrics: Alongside super strong harmonic progressions and melodies, one of the groups greatest strengths is Gina’s lyrics. She’s hit upon a rich seam of material. Things which haven’t really been addressed in mainstream songs, but which are at the heart of the human condition. Certain lyrical images led to particular production choices for me. For example, some of the drum sounds on caravan are made from the crunch of footsteps on sand. And the overall warmth and syrup-ness of Sticky Sweet came directly from the lyrics, I wanted the listener to really feel the "stomach lining, turned to syrup, sticky sweet". Synths: The group were keen for there to be a good deal of darkness, grit, electronics, and heavy bass synth on the record. Once piano, cello and vocals were tracked, I set about putting the beats together and finding a bass synth sound that I felt would work with their general sound. I ended up with something super round and warm, punctuated by weird arpeggiated leaps at the ends of phrases. Hadn’t really heard anything like it, and it seemed to work well with the songs, so it stuck. Guts (actual guts): On the EP’s titular track, Sticky Sweet, if you listen closely, you can hear the intestinal rumbles of Gina’s other half, Phillipe (ex of KOG and the Zongo Brigade, now of Oh Papa). It turns out that, once he’s full of milk, he is as good with the guts as he is with the bass. I hope you enjoy listening to the Sticky Sweet EP, I think the band have created something super-special. Massive shout out to the girls for trusting me with the record, and to Dave Sanderson @ 2Fly for engineering/producing a couple of the sessions so beautifully, to Yellow Arch Studios, and to Martin Smith @ MU Studios for mastering the tracks. The EP is available to buy at the band’s bandcamp. Alongside writing and recording and performing music, I've spent a fair amount of 2016 on my bike. 422 hours all together, which is just over seventeen and a half days, and 6,387 miles (apparently the equivalent of riding from Sheffield to Asuncion, in Paraguay). The first few months of the year was mainly commuting and hitting up the peaks either on my own or with James Pannell from Biscuit Kiss. In April I decided to join Rutland Cycling Club with a view to riding in a bigger group and hopefully getting faster. Later in the season I had my first taste of competitive cycling with some uphill time trials, more commonly known as Hill Climbs. Here's a brief rundown of my year. Rutland CC run three clubs rides every week - the Tuesday Night Chain Gang (40 miles with ahang-on-for-dear-life quick 25 in the middle), the Saturday morning Teacake (a fairly brisk 50 mile loop through the peaks finishing at the swimming pool café in Hathersage for a teacake), and a Sunday morning group ride (slower but further than the Teacake). Due to work commitments, I could only really do the Chain Gang, and then, only every other week. The CG heads from Hathersage to Castleton and back again, and then across to Grindleford, through Calver to Baslow, before slowing and heading up Froggat and back into Sheffield. I didn't know entirely what to expect on the first CG although I secretly hoped I'd at least make it to Castleton and back. When it came to it, I accidentally found myself in the quick group and barely hung on halfway to Castleton before getting dropped, then spent the rest of the time trying and failing to chase on. Fairly dejected, and absolutely shattered, I resolved to come back fitter and faster. I hung on a bit longer every time, and by the 6th CG I managed to hold on until the end. It's a fairly horrendous way to spent 90mins, but is one of the quickest ways to get fitter and faster. The Chain Gang route. 40 miles of pain. It also taught me the ins and outs of riding in a group; the speed, the shouting, the encouragement, the hand signals, the looking out for each other, and riding super close to wheels in front. Proper exhilarating. And the Rutland CC folk were super nice and welcoming. With the fortnightly CG, my rides with James and Simon (a fellow Rutler), and my commuting, my fitness was the best it had ever been, and as Summer approached I felt myself getting faster all the time. I decided I should probably put that fitness to the test and enter some hill climbs. The attraction of hill climbing is fairly hard to describe to people who don't do it. Most of the people who I've try to convert to cycling cite the hills in Sheffield as the main reason they don't do it. And I get it. I thought the same for years. From the outside, it just looks like you're putting your body through hell. Indeed, you are just putting your body through hell. But it's a measured and relatively controlled hell and, from the moment I first started cycling properly, I've always loved the hills. (I should probably mention here that you don't HAVE to put yourself through hell to climb hills, doing it at a leisurely pace is much more pleasurable and manageable, and anyone can do it). Throughout my adolescence, I struggled with never really being the right body size/shape for sport. Way too skinny for rugby, too lanky for football, too weak in the upper body for cricket. But then, just shy of my 30th birthday, I'd found a sport where to be skinny and lean was actually an advantage - especially when heading towards the clouds - and I couldn't believe my luck! Make no mistake, it's a painful experience. If you're going full gas, your lungs burn, your legs scream at you to stop, and it becomes a battle of mind over body as you try and ignore pain for as long as you can. But when you reach the top knowing you've pushed yourself as hard as you could, and the endorphins hit, there's nothing quite like it. For a hill climb, riders set off at minute intervals and their times are taken over the finish line. The fastest three men and women and boys and girls take the spoils (usually small trophies and some prize money). I entered four hill climbs in all this season. I first headed up the Low to High Bradfield hill climb with James in about February 2016. He smashed me and had a really decent time on his Strava from about 2013. For months, one of my main objectves was to get fit enough to beat his time. The climb lulls you into a false sense of security with a shallow straight run from the post office at the bottom. As soon as you hit the first left turn and the trees, it ramps up and stays horribly steep right to the top. Learning the climb - where you can push, where you can recover and where to time your last desperate dash for the top - really helps you pace things. I beat James's PB a couple of weeks before the hill climb and by the time July landed, I reckon I was the fittest and fastest I'd ever been. At the event I managed a pretty respectable 27th and a PB of 2m48s. The atmosphere of the crowd as I reached the top of the climb was electric. The taste of blood and vomit wasn't. A couple of months after Bradfield, I entered the Sir William Hill Climb. I'd lost a bit of fitness over the summer, but had recced this a couple of times and felt as though I knew the climb fairly well. I finished 14th up the climb with a PB of 8m30s up the 1.3 miles of 9.7%! Monsal Head Hill Climb is probably the biggest in Yorkshire, arguably the country, and attracts a huge field of riders (pros and amateurs) as well as a large and vocal crowd. It's a short, but brutal climb, which ramps up quickly and stays steep right to the Monsal Head Hotel at the top. A big group of us from Rutland CC cycled over, and the weather was perfectly, blue skies, and a helpful tailwind. I loved the atmosphere. The crowd were clearly excited to see Team Sky's Ben Swift as well as hill climbing royalty and local pros, but were happy and enthusiastically cheering on every single rider through their personal battles with the gradient. I tried my hardest and PBd with a 1m50s, but missed my target of beating my friend Pete Crawforth who rides for Veloviewer (he finished 2 seconds to the good), and barely scraped the top 100. On reflection, I didn't go as deep as Bradfield or Sir WIlliam Hill (couldn't taste ANY blood!) and will try again next year, aiming for closer to 1m40s. There were some great rides from fellow Rutlers, Adam Lathbury, in particular, smashed it! The final climb I entered was Mam Nick. It's organised by Rutland CC (Nick Latimer bravely taking the administrative strain). It's also the club's hill climb championship, which was incentive enough to do a really good time here. But from before the climb even started I had a bit of a nightmare. I went off at 10:01 because I needed to get back to Sheffield for work at 11:00. My housemate Ben offered to drive me there and then pick me up at the top of the climb and drop me straight at work (what a legend). As soon as we arrived I immediately regretted not riding out there - we passed a big group of Rutland riders making their way just outside Edale, and the hour's journey would have been a perfect warm up. I got there too late to warm up properly, and had forgotten to bring food and drink. As soon as I pushed off the start line, my right foot unclipped, and once I finally managed to clip in again, I took the first ramp WAY too quickly and put myself in the red. It was all I could do too hang on to the top of the climb. I PBd with 8m48s, but picked up the lantern rouge for the club championship. I'll try again next and aim for closer to 8mins! 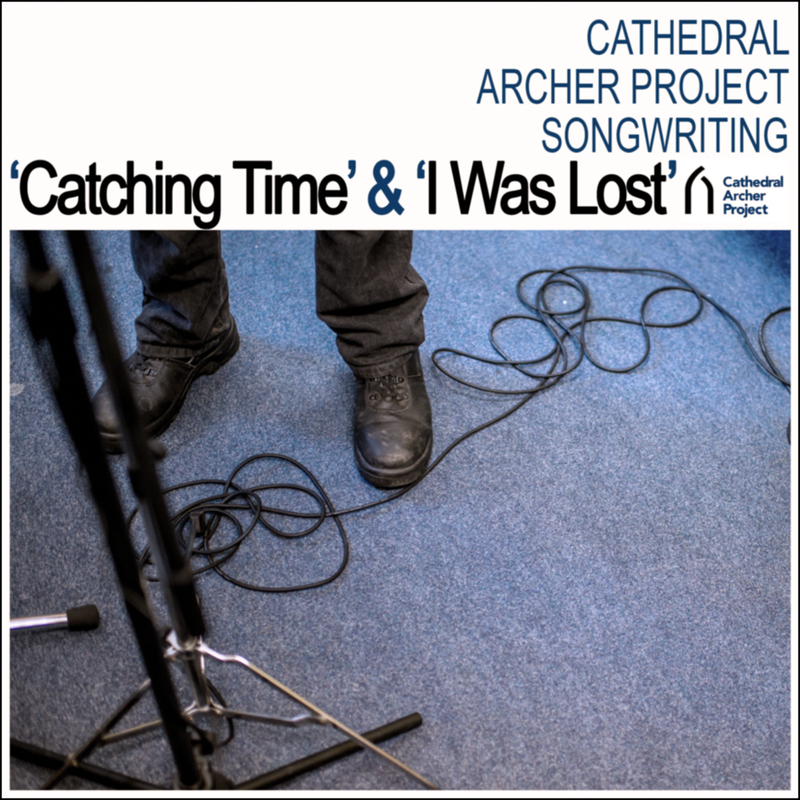 Throughout October and November 2016, I ran six songwriting sessions with the Cathedral Archer Project in Sheffield. The project aims to help homeless people in and around Sheffield achieve a better life by supporting them to: Develop their independence; Improve their wellbeing and confidence; Improve their ability to tackle setbacks; Improve their ability to identify and change negative behaviour. The aim of the sessions was to explore emotion and musical creativity, through the study of song structure, lyrics, melody, and arrangement. Through specially designed creative activities, the participants composed their own songs working alone, or in pairs, with guidance. I then put together backing tracks at Sounds Like Screaming, and the group recorded all of the vocals at The Musical Works in Sheffield. The sessions were full of hard work, not so hard work, fun, laughter, tears, and drama. Never a dull moment. I was continually surprised at the ideas that members of the group came up with and felt privileged to have been given the opportunity of working with them. Danielle came in to the third session with a load of lyrics. These eventually turned into I was lost. I loved the lyrical structure of the verse "I thought I knew what love was, but boy I was so wrong, until I met you, I thought I knew", and encouraged her to think of different ways of using that same structure to say slightly different things to create other verses - hence "trust", and "joy". I love how ambiguous the lyrics are, you're never quite sure whether the sentiment is positive - that this other person has shown the protagonist that the love she thought she knew was as nothing compared to the love they share - or negative - that the other person destroys the protagonists ideal of love - and I believe this adds a real edge to the song. Both songs are availble to download from bandcamp, or by clicking on the picture of the artwork to the right. They are free, but please consider making a pay what you like donation as you download buy clicking on the where it says Buy Now on the bandcamp page. All proceeds will go to supporting the work of the Archer Project, which is of special importance during these cold winter months. With your help we can really make a difference to the lives of homeless people in Sheffield. We actually had two other songs *almost* finished, but due to sudden changing circumstances, we couldn't quite get them finished. Huge thanks to Jayne Hilton and all at the Archer Project; Mark Harvey for his wonderful photography of the recording session at The Musical Works; Jonno and Liam at The Musical Works for hosting the recording session; and biggest thanks of all to Danielle, Micky, Maggie, Wayne, Mohammed, Spence, Phoenix, and Cameron for being fantastic, energetic, and creative participants in the project.